Dual-Core phones are you would almost call as the Android norm these days, as most manufacturers (and apps) are moving onto more powerful devices. Prices have definitely gone down to where these flagships are now below the PHP 20k mark – a feat that would have seemed impossible just months before. One of the first few devices that graced the price range with a dual-core device was Cherry Mobile’s Magnum 2X – announced late last year and now being offered for a price of PHP 14,999. (We believe its on sale for PHP 11,999 right now though, which is great.) For that money, you’ll be getting the aforementioned Dual-Core 1Ghz processor, 3.8” 800×480 screen, 5MP Camera (no flash), VGA front camera, and all running under Android 2.3 Gingerbread (it used to come with 2.2 Froyo). We’ll be hooking you guys up with a review of this device soon but for now, check out our video unboxing just after the jump. So there you have it guys: our unboxing of the flagship Android device from Cherry Mobile. It is definitely a powerful phone and seems to be a good buy for the money – especially if you can get one on sale. For most consumers, they’ll probably be deciding between this phone or the recently released W900 Dragon phone. They’re relatively close in pricing so your main deciding factor here is that the W900 has a larger screen and a highly customized Android interface, while the Magnum 2X’s screen is a bit smaller but packs a dual-core processor for improved gaming capabilities. Whether you prefer the W900 or the Magnum 2X is up to you. 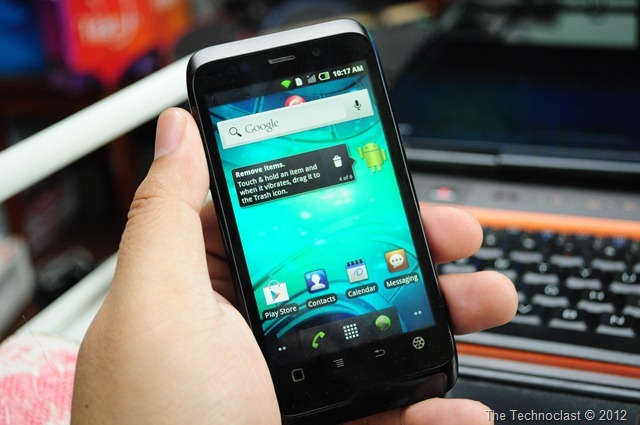 The Cherry Mobile Magnum 2X is available now for the SRP of PHP 14,999. (The W900 is SRP PHP 9,999.) It also might still be on sale for PHP 11,999 right now so stop by your nearest Cherry Mobile store to check them out for yourselves. hi, i was in trinoma last sunday and i was able to try the magnum 2x and the rest of their android phone line up!! for the first time, cherry mobile had this caravan showcasing all of their andoid phones to the people.. and coming from the representative, they’ll be staying there until july 2 haha! my prayers were heard!! Yeah they’re finally giving potential buyers a chance to check out the phone first before buying. That’s a huge improvement over the old style of keeping the phone under their glass cases until you decide to buy them. I doubt that. But I’ll be very much surprised if any Cherry Mobile device OS will be upgraded to the latest one.